GMO Labeling Bill Becomes Law: Now What? On Friday, July 29, 2016 President Obama signed into law the GMO Labeling bill recently passed by Congress. 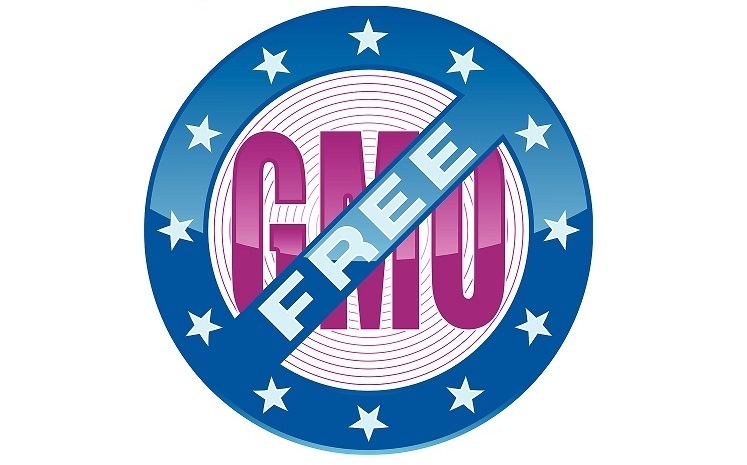 This law preempts Vermont’s first-of-its-kind GMO Labeling law, which had just gone into effect on July 1, and authorizes the U.S. Department of Agriculture (USDA) to develop a mandatory disclosure program for “bioengineered” (aka GMO) foods. Now that the law has been enacted, all eyes are on USDA, which has the primary responsibility of implementing the law. USDA has one year to conduct the QR code feasibility study, and two years to develop the labeling standards and regulations. Both of these processes will also require public input before being finalized. USDA is likely to see thousands upon thousands of comments from stakeholders during these next phases of implementation. By law they are required to consider all comments received, suggesting that a long process is ahead. The agency is also likely to hold public meetings to allow stakeholders the opportunity to submit oral, as well as written, testimony. Given the highly contentious nature of this legislation and the GMO debate in general, we hope to see USDA proceed through this process in as transparent and inclusive a manner as possible. All of these issues point to a lengthy and involved few years before a final disclosure requirement is in place. And regardless, once the regulations have gone through the public rulemaking process, a legal challenge is highly likely, which could further delay implementation. Thank you so much for bringing the National Sustainable Agriculture Coalition to my attention. I just visited their web site and signed up for their email updates. I have recently become as much concerned about the long term damage that Big Ag is doing to our nation's and the world's soils through chemicalized mono-culture as I am about what they are doing to our immediate food supply. I believe they could legitimately be prosecuted and found guilty of crimes against humanity for what they are doing to our ability to obtain nutritious food anywhere at any price, now and for generations to come; and by subsidizing them our own government is abetting them in the commission of their crimes. If anything, our government should be subsidizing a return to sustainable organic agriculture and reversing all of the damage to our soils that has already been done. Actually, this DARK ACT does NOT invalidate state law. The founders of the nation wrote the Constitution, and it is the HIGHEST law in the land. ALL laws, rules, regulations, statutory "laws", Acts of Congress, Executive Orders, etc -MUST COMPLY with the US Constitution - or they are INVALID,NULL, AND VOID. The exact terms used by the writers/co-authors/signers of the Constitution were "imaginary" laws and "pretended" laws. They INSTRUCT us to disobey such laws and Thomas Jefferson goes so far as to state that it it our DUTY to disobey these laws. Now - how is this piece of garbage legislation not compliant with the constitution? First - the fed govt has no legitimate authority over what you eat, what medical choices you make, your education, and so much more - in fact the fed govt has literally only 30 clearly ennumerated powers which it has legitimate province over. Things which primarily are not something to be dealt with on a state level. Interstate commerce, foreign treaties - only CONGRESS can declare war (so their AUMF legislation giving this to the prez is unconstitutional) weights and measures, minting coin, etc. The closest thing one can state federal authority over in this arena would be interstate commerce - but the truth is that Vermont or any other state can actually state that their products can be made in their state. Interstate commerce issues are NOT regarding labeling - they are so that fees and regulations across states are equal to prevent one state from economically attacking others. The corporations change labels all the time - so if they are incapable of changing the labels in this nation in an economically survivable manner, then perhaps those morons need to hire someone from the 60+ countries that figured out how to do that already. The REALITY is that no GMO is legal in our food, drugs, or cosmetics. The 1958 FDCA states quite plainly that ANY new petitioner for entry into these markets is to be legally defined as UNSAFE until THOROUGH scientific testing is completed. They want short and long term safety studies AND multi-generational safety studies. GMOrons have NEVER come close to doing so - in fact they argue for lower standards (proving inability to meet such safety mandates) and state that the heads of the agencies involved changed that law. Well guess what? ONLY CONGRESS CAN MAKE A LAW. They did - it's called the 1958 FDCA - and no bureaucrat has any legal authority to change congressional law, because (duh) that damn bureaucrat ISN'T CONGRESS. This is one reason why the labeling initiative is pretty stupid - IT LEGITIMIZES AN ILLEGAL PRODUCT!!! Of course the GMOrons are going to fight the labeling thing and then let it wander wherever it goes - THEY ARE STILL GETTING THEIR ILLEGAL CROPS INTO YOU. We need to seriously attack BEYOND labeling and go for the meat of the law - and it's going to get nasty.